Limelight by Raquel Welch has long layered waves highlighting this sensual silhouette that falls to below mid-back. Wear it softly waved right out of the box or style it straight. 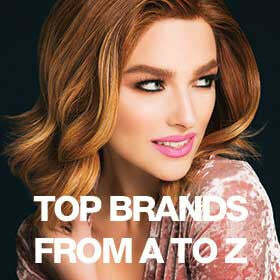 The lace front Sheer Indulgence™ top and Tru2Life® synthetic hair means your styling options are virtually limitless!